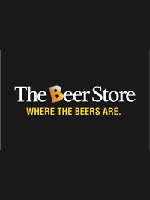 The Beer Store will close all stores across the province for the Labour Day holiday, Monday, September 5th, 2011. All Beer Stores will observe their normal business hours on Saturday, September 3rd and Sunday, September 4th. For stores hours, visit us at www.thebeerstore.ca The Beer Store would like to wish our employees and customers a safe Holiday. The Beer Store would like to remind you that we take back 100% of all beer packaging as well as all wine and spirit containers.